Preparing for the SAP S/4HANA Finance 1511 or 1610 exam? Make the grade with this certification study guide. Explore test methodology, key concepts for each topic area, and practice questions and answers to solidify your knowledge. From the SAP General Ledger to financial close, this guide will review the key technical and functional knowledge you need to pass with flying colors. 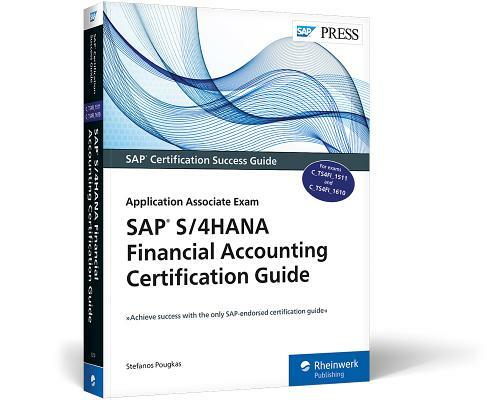 Your path to SAP S/4HANA Finance certification begins here a. Test Structure Prepare with up-to-date information on each topic covered in the 1511 and 1610 exams, like asset accounting and financial closing to cross topics like G/L indicators, document parking, and posting validations and substitutions. b. Core Content Review major subject areas like the general ledger accounting, accounts payable and accounts receivable, asset accounting, and financial close c. Q&A After reviewing chapters, test your skills with in-depth questions and answers for each section and improve your test-taking skills.